Triple H Set To Undergo Surgery On Tuesday, Will Likely Miss WrestleMania - Wrestling Inc. Triple H wrote on Twitter that he will be undergoing surgery on Tuesday morning. 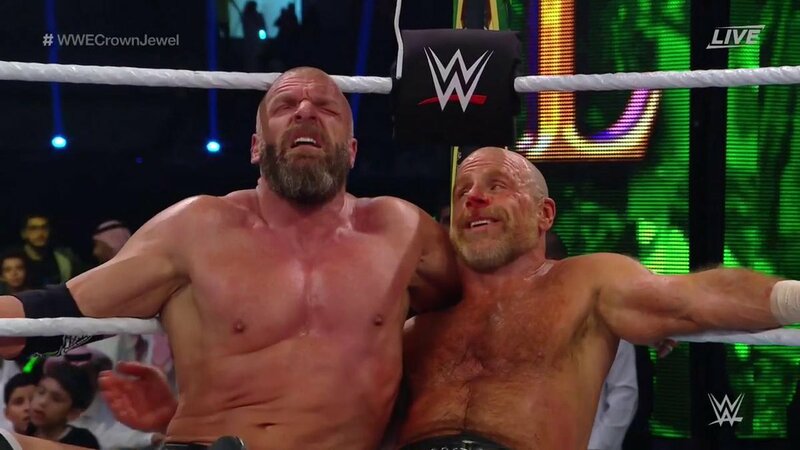 Triple H had suffered a torn pectoral muscle during his match at WWE Crown Jewel this past Friday, where he teamed with Shawn Michaels to defeat Kane and The Undertaker. As noted, the return time for other wrestlers with a torn pec has been anywhere from 5-9 months, although it is usually at least 6 months. If he is out of action for six months then he would miss WrestleMania 35, which takes place on Sunday, April 7, 2019. WWE had teased a match between Batista and Triple H at the event.